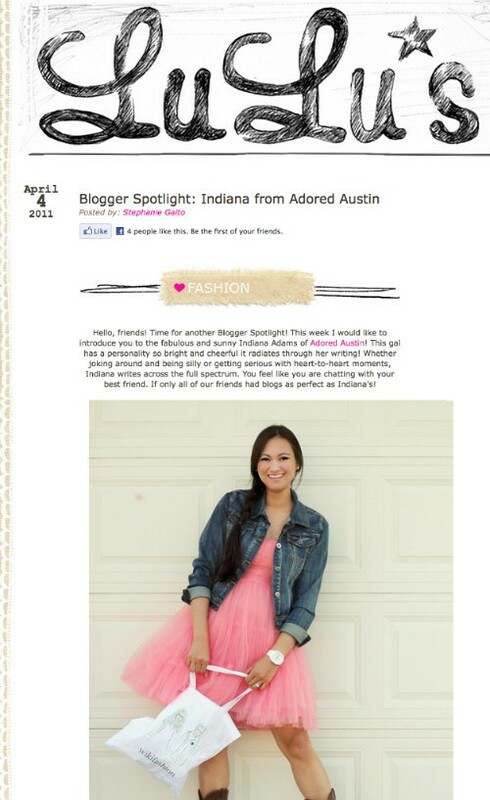 I just found out that Adored Austin was featured on Lulus.com yesterday as part of their Blogger Spotlight series. Stephanie, who I had the pleasure of meeting during the TxSCC wrote really, really nice things about me, which is awesome because I didn't even have to bribe her. Check out the full post here. Thanks, Lulus and Stephanie!